The two smaller outside columns contain either cross-references to other Scripture, or alternative translations for various Hebrew words. 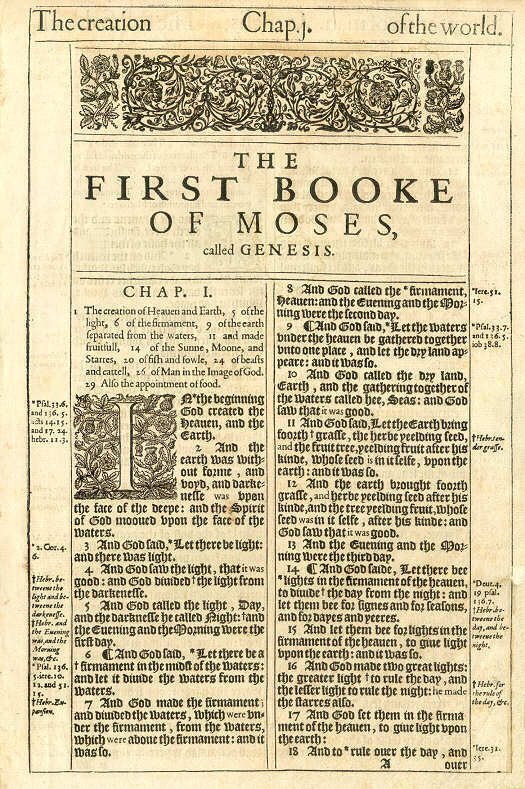 The large "I" that begins the chapter: "IN the beginnning ..." is typical of the high-quality woodcuts in the early editions of the King James Version. These first copies of the King James Version were very large and heavy. This page is actually 10 inches wide by 15 inches long. It required a table or reader's stand. Use the Menu on the left to view a closeup of another page from the King James Version.